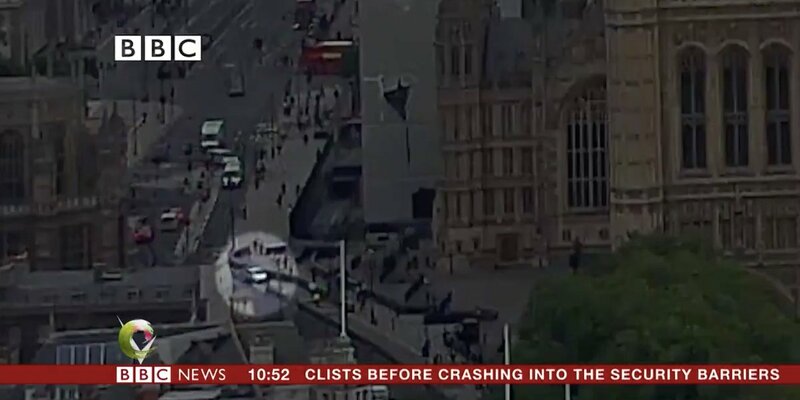 A man has been arrested on suspicion of terrorism offences after a car crashed outside the Houses of Parliament in the United Kingdom. Officers were seen surrounding the vehicle before the man, said to be in his late 20s, was detained, shortly after 7:30am London time. London Ambulance Service says it took two patients to hospital with non life-threatening injuries after cyclists and pedestrians were hit. Scotland Yard says at this stage, it is treating this as a terrorist incident and the MET’s Counter Terrorism Command is now leading the investigation. The man is in custody at a South London Police Station and the vehicle is being searched. The government’s Cobra Emergency Committee is meeting later. 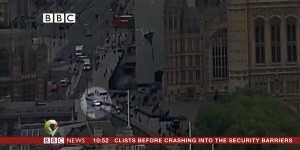 Footage released by the BBC shows the moment when the vehicle drives over a pedestrian crossing before crashing into the security barriers.